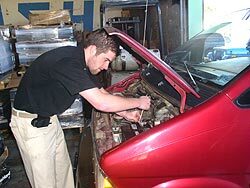 Battery Warehouse Mechanicsburg is a family run business with the best quality and selection of batteries in the area. Our Mechanicsburg PA location in Cumberland County Pennsylvania is convenient from Carlisle, New Cumberland, Dillsburg, Schlusser, Mt Holly Springs, New Kingstown, Shepherdstown, Lewisberry, Lemoyne, Camp Hill, Enola, West Fairview, Wormleysburg and Boiling Springs PA.
Stop in with your battery questions and let them show you why they are #1 in Quality, Service and Price. Professional battery installation for all types of automobiles, watches and more is never a problem.